Arsenal playmaker Mesut Ozil faced colossal criticism for his uninspired performance in the embarrassing Champions League defeat to Ligue 1 outfit AS Monaco last Wednesday, but after grabbing two assists against Everton on Sunday – are the German’s critics unjust? Arsenal’s Mesut Ozil Flops On Big Stage… Again! Who’s To Blame? The 2014 World Cup winner boasts an impressive stat record since his arrival at the Emirates, which is often ignored. Only Chelsea star Cesc Fabregas can better Ozil’s assist record since arriving in the Premier League – a spectacular feat for an under-fire playmaker. What’s more, the 26-year-old has the third best minutes-per-assist ratio – with 224 minutes per assist. Nonetheless, despite stunning statistics arguing the case that it was £42.5m well spent, the Gunners faithful remain unconvinced. 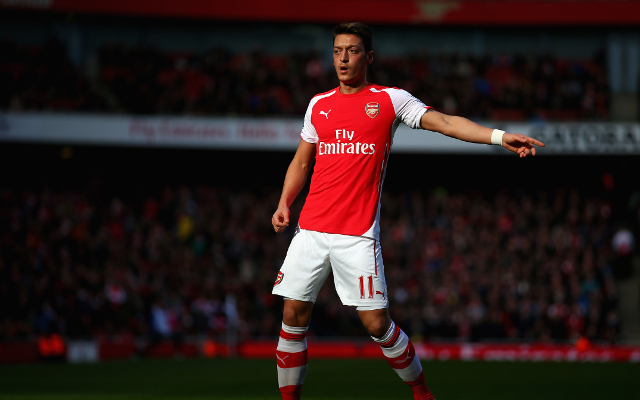 Rather the problem, perhaps, is not Ozil’s performances – but rather his style of play that offends so many. The German possesses a lacklustre flair, and an often sulky expression, that simply does not go towards earning the endearment of Premier League fans. Furthermore, the former Real Madrid star fails to deliver in the big games – the penalty miss against Bayern Munich in the Champions League last season being a leading example. The Germany international may well excel in the league – but Arsene Wenger needs his domestic talisman to perform to the same standard in the prestigious European tournament. What better way to start than the second-leg against Monaco – with a 3-1 defeat suffered in the first-leg – this would be the perfect moment for Ozil to silence his critics, and spur Arsenal on to an epic Champions League comeback.